The more formal 64 front end with the better proportioned rear fins made this year ambulance/funeral coach one of the most attractive ever. 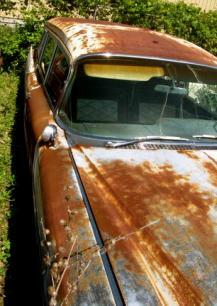 This one is a little more "picked over" than most of our inventory but is still a very suitable restoration candidate. This vehicle has been viewed 2575 times.